Where do I begin? From diaper-changing dramas, lack of sleep, emotional turmoil during sick days, exposure to all kinds of emotion all throughout, physical exhaustion doing household chores every day, pressures of juggling time being a mother, a career woman, a wife and a homemaker to the extent that she has to sacrifice her own “me-time” most of the time due to unexpected family issues that she has to tend to. You may not know but your mom, wife, grandmother, or whoever your mom is in your life, sometimes cry while taking a shower, not letting you hear her stifles, choking back the tears when the pressure is too much to handle. And yet despite the struggles of motherhood, she still has this grace under pressure and a jolly spirit with that smile that brightens up the day. It takes a lot of courage and strength to be this superwoman. Can you imagine a world without our mothers? That without question is too hard to even imagine. So take this Mother’s day an opportunity to let her feel special, letting her know how grateful you are with all the things that she did or she’s been doing for you and your family. Note: I’ll use SHE to refer to either your mom, wife, grandmother, sister, aunts, or whoever you consider as your mother. 1. Cook something for her. Surprise her with a breakfast in bed. There’s nothing much sweeter than waking your mom or wife with this simple gesture even if it’s just a simple meal. This will be an exciting way of starting the day right. Or you can also throw a surprise candlelight dinner with her favorite home-cooked meal. For husbands, you can ask your kids to usher the food in the table with gusto! She definitely will love it being served like a queen on her special day. 2. Give her a makeshift greeting card. Mothers had been through a lot. We really don’t need extravagant or fancy gifts just to validate the purpose. As a matter of fact, simple gestures of appreciation can even go beyond. One of these will be personalized makeshift greeting cards. Be creative by re-using and recycling. If you have buttons, dried flowers, twigs,potpourris, beads, laces, and colorful cutouts, then make use of them to decorate your Mother’s Day greeting card. Note: You can ask family members to pen their messages to her as well on your personalized greeting card. She will definitely appreciate all the effort. 3. 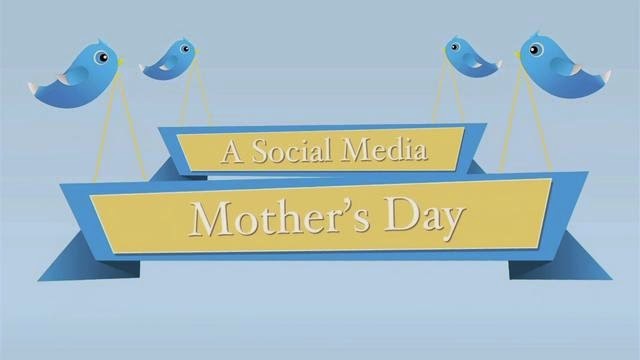 Make use of the social networking website to tell others about how special your mother is. You know how powerful social networking nowadays. Utilizing it to greet her and let your family members, relatives, friends and acquaintances know about how wonderful your mother is not only a thoughtful gesture but it is a brave act of spreading out how proud you are to have her. Note: Just like a lot of us love doing; you can create a picture collage with your message. Or if you want to take it to the next level, you can ask her favorite celebrity, or social icon to make a fan sign for her on Mother’s Day. Yup, social networking like Facebook, Twitter and Instagram can help you make this a reality! 4. Let her have the “immunity or pass” of not doing the chores and serve her instead. Give her a day-off to just enjoy the day without doing any household chores at all. Let her read a book, browse magazines, check the Internet, among others. In short, just spare her from her mommy-duties. 5. Organize a mini-show for her. You can dedicate a show for her where your adorable kids can sing and dance and for them to deliver their messages to their favorite mother or you and your siblings can do a role-playing portraying how your mom handles her role diligently. Make it funny and memorable for her. This certainly will surprise and touch her at the same time. 6. Have a picnic. So long as the weather permits, load out your picnic basket with cold cuts, sandwiches, and cold beverages to have fun outdoors. Take your picnic blanket with you and don’t forget the sunscreen. Take loads of family pictures that you can add in your family photo album, making it the best Mother’s Day for her. 7. Pamper her with a home spa or give her a spa kit. Who says having a spa is expensive? There are affordable over-the-counter products and do-it-yourself (DIYs) spa kits that you can purchase as a gift to her. And instead of her doing her own facial massage or foot scrub, do that for her instead. You have no idea how she desperately wishes to rest and relax while being pampered. Note: A body massage is the needed bonus to make her super happy! 8. Give her a manicure/pedicure treat. Most of the time, due to a great demand of household chores and mommy duties, busy moms are having a hard time squeezing time to do their own cleaning. So this treat is something that she can’t resist. Note: You don’t really have to spend a lot on this. There are a lot of manicurists that offer home service so you might want to ask them to drop-by your house and treat your mom an all-expenses paid manicure and pedicure. But if you have extra and you want for her to rather relax and be pampered in a salon, then you can have her raid one then. 9. Give her a makeover. Again, the goal here is to make this an awesome Mother’s Day for her that doesn't need to shed out that much. You can scout for any salons that offer affordable promos, packages and great discounts beforehand . Note: It can be a great new haircut, a change of hair color, or a new look with the way she dresses up. Makeover is an exciting treat for busy moms out there who often times do not have time to pamper themselves. With this, you are not only inspiring her not to neglect her physical appearance but to give the reason to look at herself in the mirror and remind her that with all the love that she’s been giving out expecting nothing in return, she should not at least forget to love and take good care of herself, too. 10. Watch movies together. If you have spare money to go on a movie date, then you can treat her with the movie of her choice. It’s a fun way for her to relax. But if you are on a budget, you still can do this at home. Pig out with a big bucket of microwavable popcorns or a bag of her favorite chips, fruit-slices and sodas and be goofy in front of the television. You can do a re-run of her favorite movies or TV series which is a great way of bonding with the family, too. Honestly, I am thankful that there is Mother’s Day. I even pray that this will be a daily event to magnify the role of our mothers in our family. Frankly, I thought being a mother is just an obligation that needs to be fulfilled when I was young. It is but true that a lot of us are naive about the sacrifices of our mothers for us and often times, not only are we taking them for granted but most of the time our actions towards them do not reciprocate the love and concern that they show for us and instead misinterpreting it negatively as lack of trust or being too controlling and often we hurt them through verbal clashes or being insensitive. Personally, never had I ever imagine that it is more than that. It takes a lot of courage, patience, strength, selfless love and servitude in order to perform the divine task of motherhood --- that’s what I realized when I became one. Being a mother is the hardest responsibility that one can ever imagine and I want to give a shout out to all the mothers out there for all the sacrifices and hardships that we've been through. Indeed, we had been chosen carefully by God to spread the love and to mold individuals. So let’s remain steadfast and strong in doing so.